A study of the book of Genesis is an invitation not only to contemplate the creation story, but to remember with the Israelites their ancestors in faith. 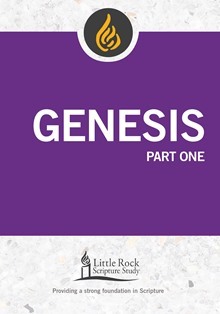 Part One of this study covers Genesis 1:1—25:18 (the "pre-history" of Israel including the creation accounts, the stories of the fall and the great flood, as well as the story of Abraham and Sarah). Commentary, study and reflection questions, prayer and access to recorded lectures are included. 5 sessions.